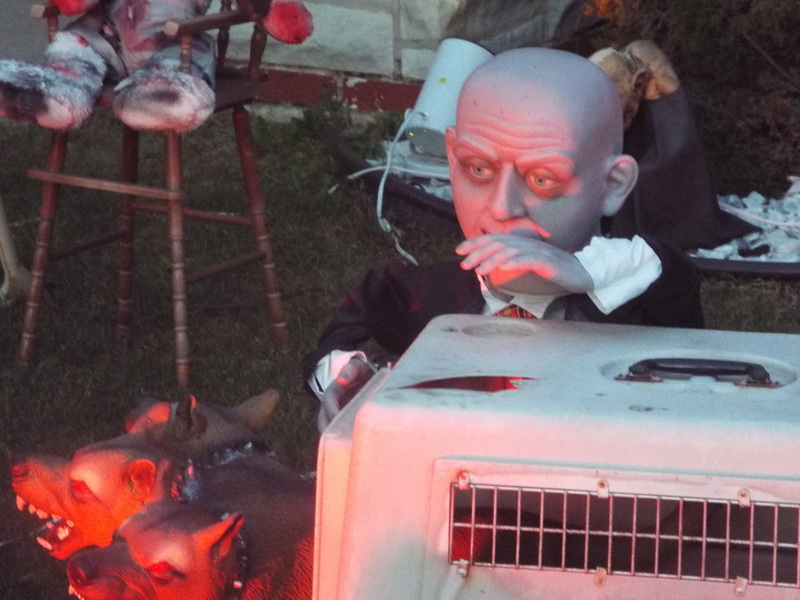 ​Haunt on Massasoit could best be described as a "drive by" haunt - that is, one of those that you drive slowly by and take a look at from your car, but don't necessarily get out to look at more closely. 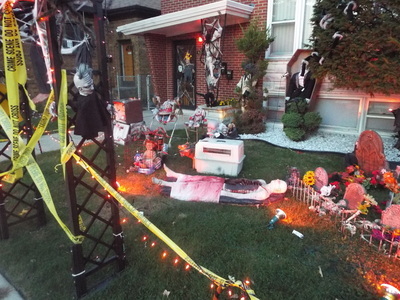 Basically, there's not a lot there. 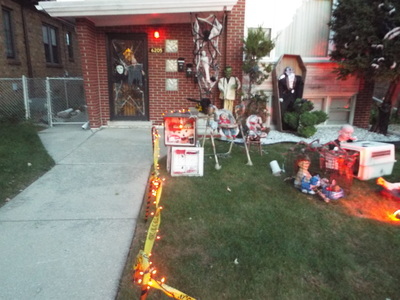 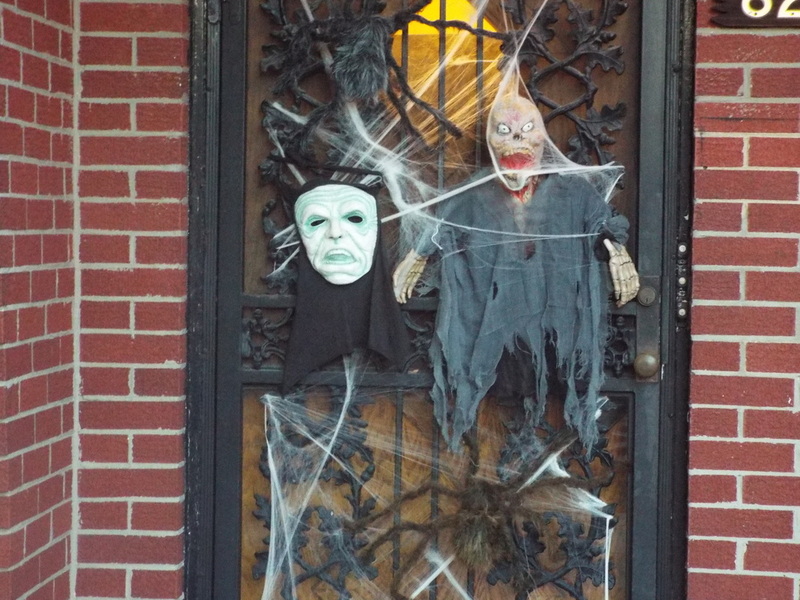 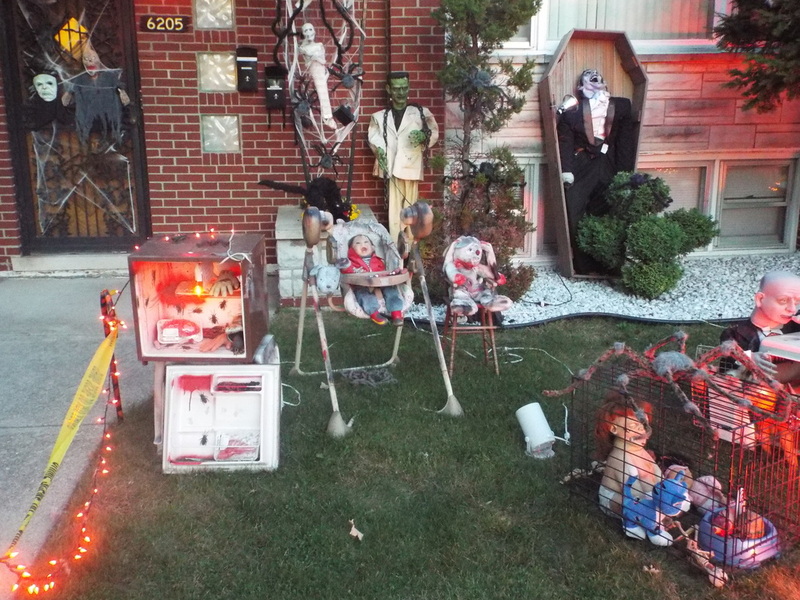 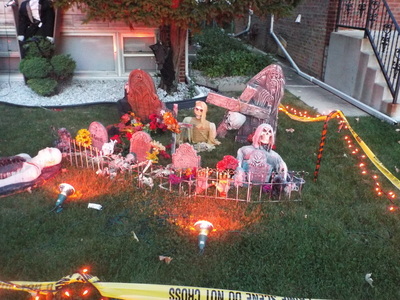 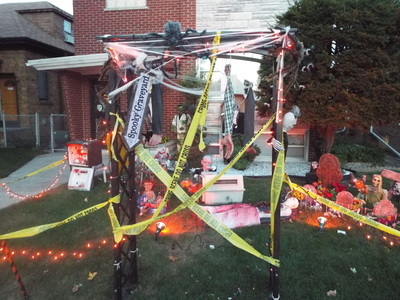 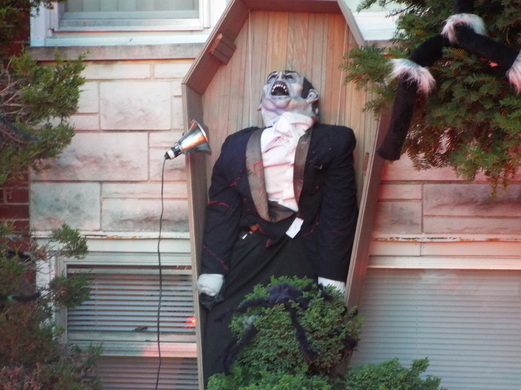 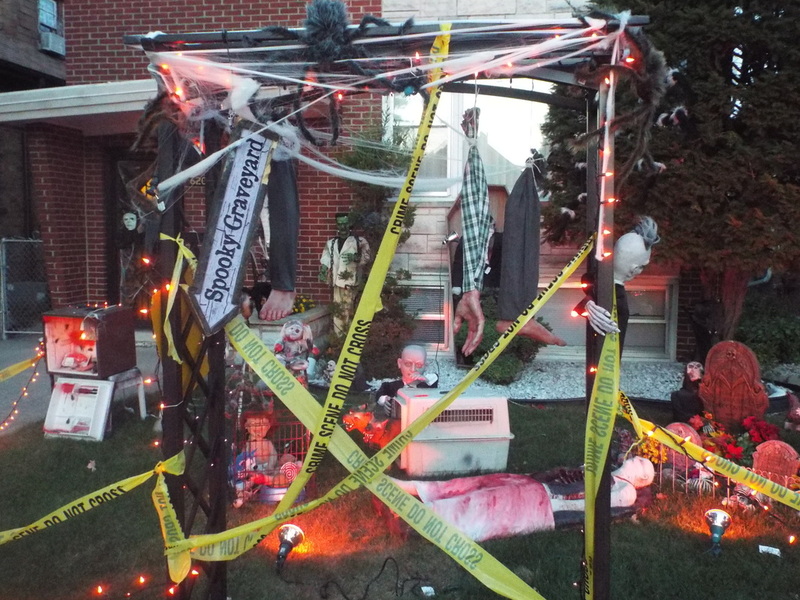 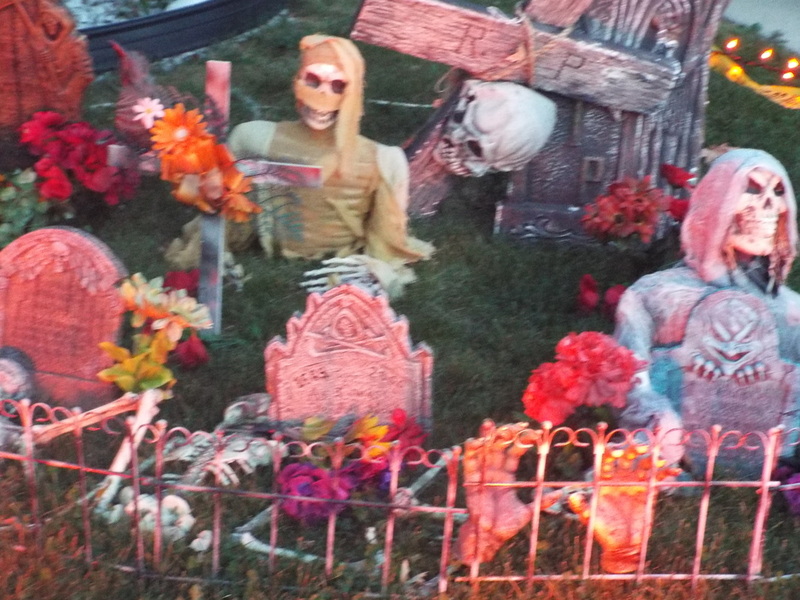 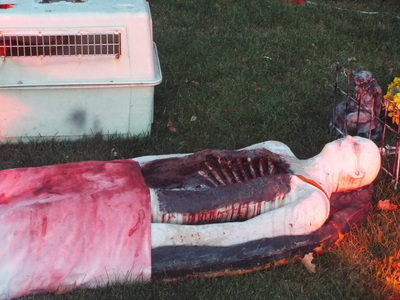 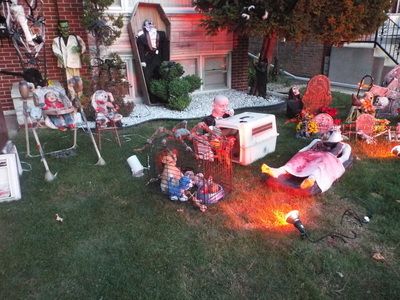 The entire setup features a few static props, some tombstones, lights, and a small metal archway in front. 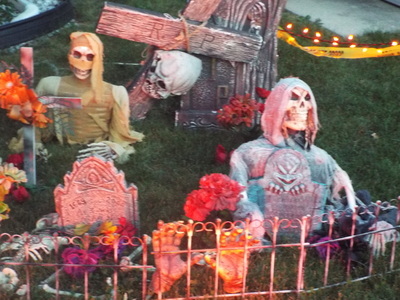 We will say that the lighting is decent and the setup looks nicer when it's dark out, and there is little space available on the front lawn, so there's not a lot to work with to begin with. The odd this is that, for this year there appears to be less than there was last year, going back to the size it was a couple of years ago (review here). 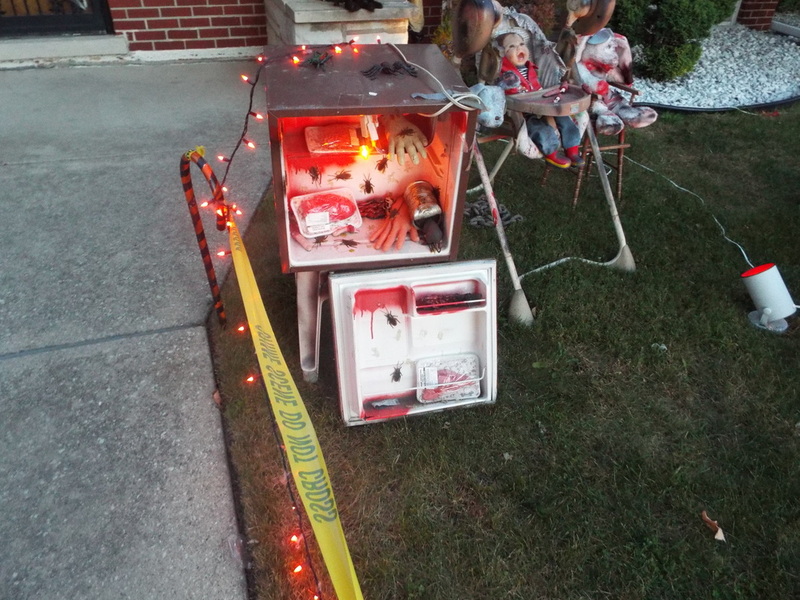 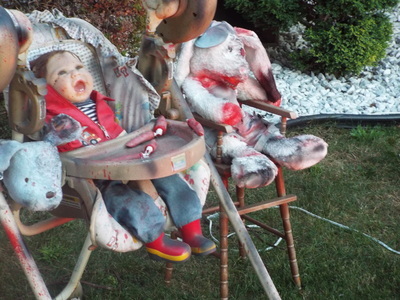 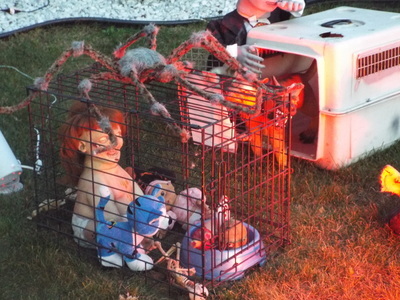 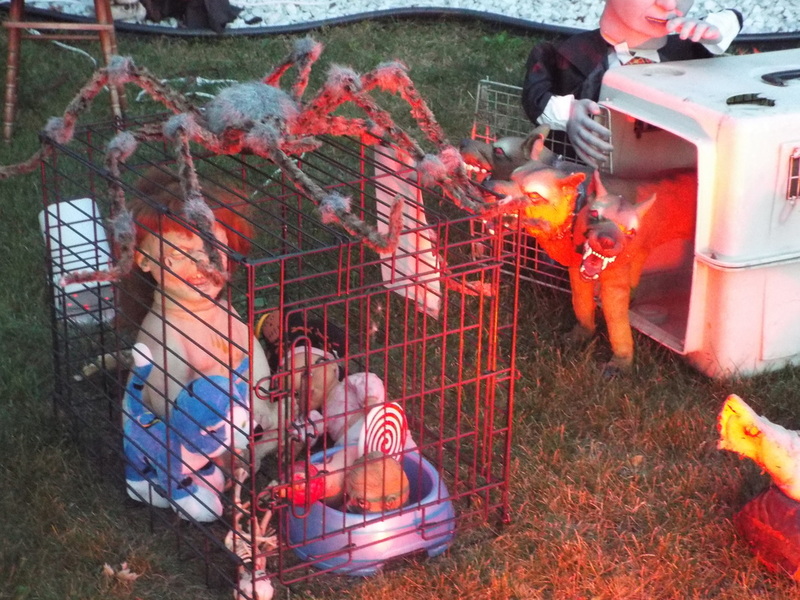 There are a few clever items, including a small refrigerator with its door ripped off and body parts inside, a bloody studded bunny in a small high chair next to a demon child in its own high chair, and a baby in a dog crate with a human head inside of its food bowl. However, having said that, it really amounts to just a very small, simple yard display, of the kind that lots of houses have, so it's not necessarily worth going out of your way to see. 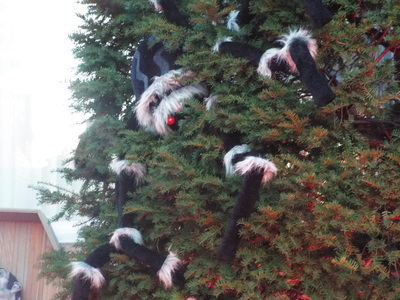 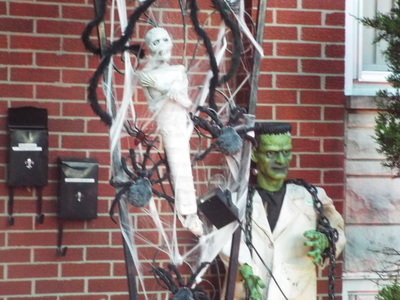 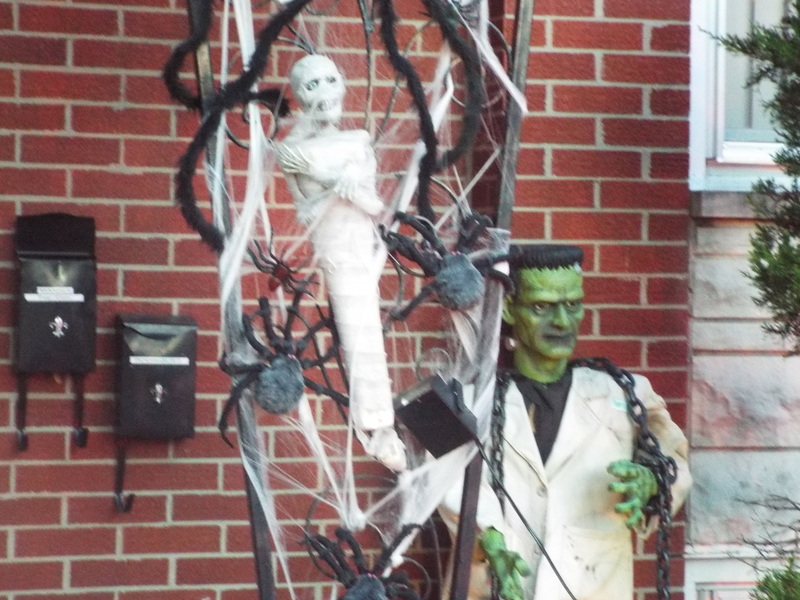 It's something to check out if you live int he neighborhood, or if you happen to be checking out other yard displays in the Midway Airport area, but overall it's nothing to write home about, and we've seen larger yard displays using similar amounts of space elsewhere.